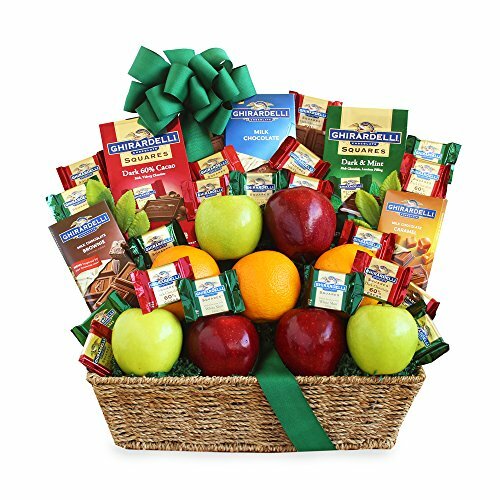 Fresh fruit and Ghirardelli chocolate are a winning combination for a Thank you, Housewarming or any special occasion. This great gift will have them oohing and ahhing with delight! Crisp green and red apples and juicy oranges are the perfect accompaniment to the huge variety of chocolates feature in this woven basket. A mouthwatering array of Ghirardelli Chocolates from San Francisco.